Some of my grandkids love to wear their jammies after church on Sundays. They’re comfortable and easy, and no need to do more than that on a day when they’re home and just with their families. But can you REALLY wear your jammies out and about and look ok? I say yes, there definitely is a way! 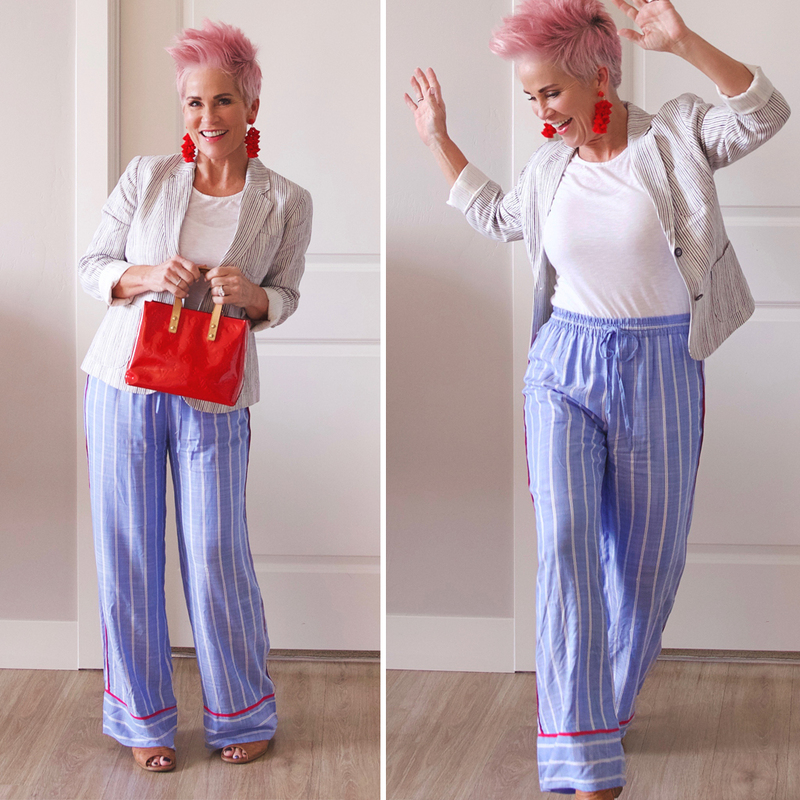 With all the cute pajamas out there right now, and even the whole look of the slouchy drawstring pant, it is very much in style! With the right ones, you really can work them in to your wardrobe! The ones I’m wearing here, are meant to be pajamas. I picked them up because I liked the color and the style and the red details. I put them with this cute linen blazer and tee, and some neutral sandals with some heel, for a lunch with some friends. What do you think? Would you or wouldn’t you? I’m going to wear these all summer long with a cute tee shirt and flip-flops. I would love to know your thoughts. Of course there is a “RIGHT WAY” to do it! Wearing fleece or flannel wouldn’t work….it would look TOO much like pj’s. But this lightweight cotton I think is perfect! I would love to hear your thoughts on this. Of course I wouldn’t wear them to the office, but after work hours, or on the weekends…how comfortable would you be in these?!!!!! 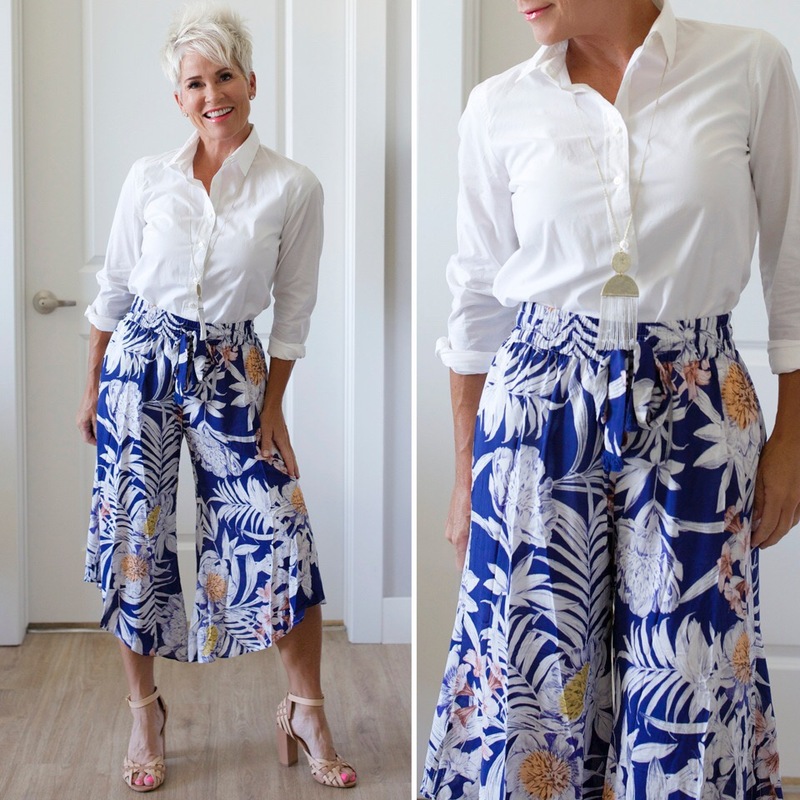 My pants are sold out already, so I’ve linked a bunch that you could wear the same way! Also this blazer is SO CUTE…. Here was another time I did the same thing! When I bought these I had NO IDEA they were pajamas until I saw them online and read the description! They were from last summer! I styled them two different ways, casual and more dressed up! Another bonus too, is that they most often are a lot less inexpensive than normal pants!!! I guess I’m old school, but I can’t get over the thought of wearing PJ outside the house I never thought they belong there even so some are really nice. It must be the German upbringing, or my own hangup. Happy Mothers Day Shauna have a blessed Day. I’m simply putting into play what you suggest…encourage…. I love them and the look! Very comfortable. 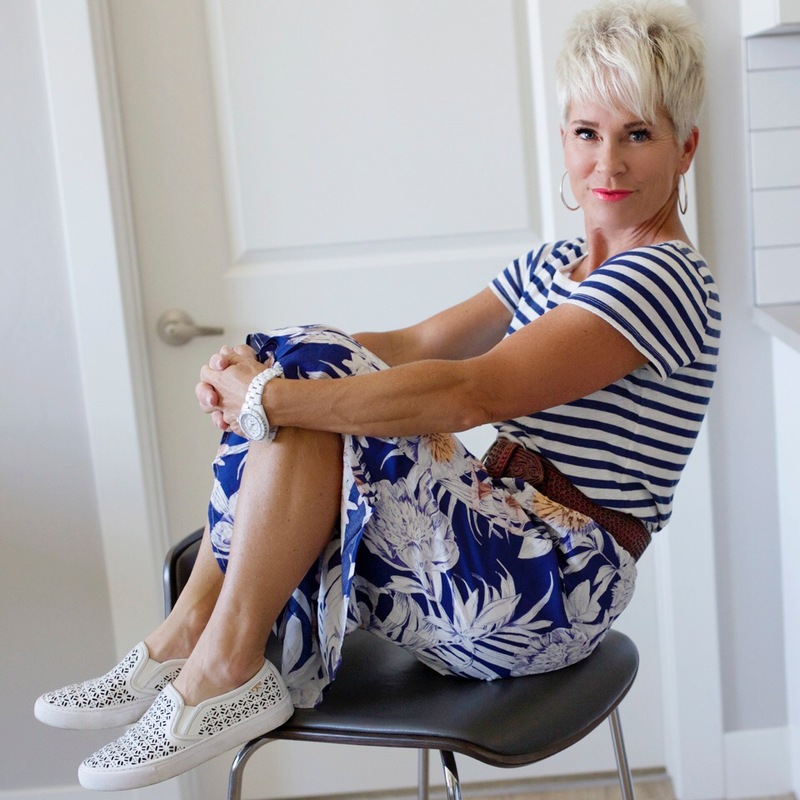 I am over 70 and 5’1″. just need to find petite styles and I would wear them in a heartbeat! I’m sure my 11 grandchildren will love it also! !